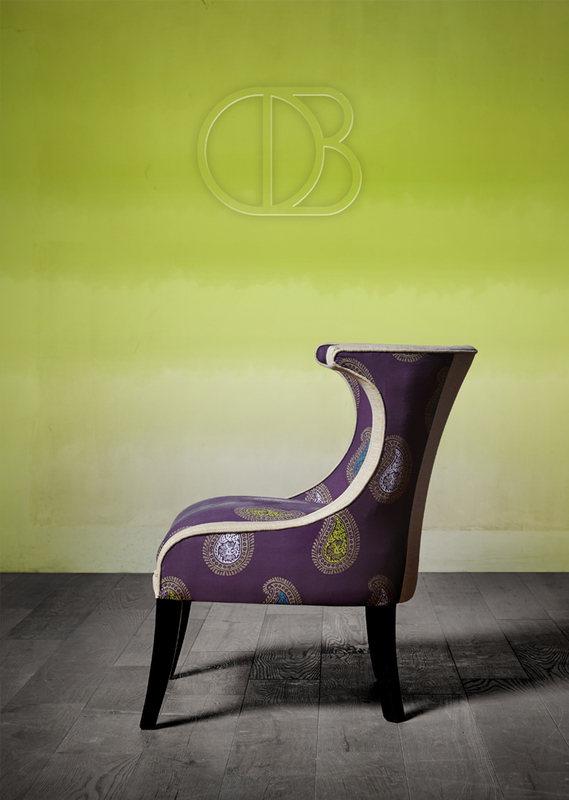 Olivia Bard - Designer Fabrics, Tiebacks And Curtain Poles. Olivia Bard is delighted to present her debut collection of fabrics, poles and tiebacks, which each tell a different story of the world. Drawn from my love of travel, different world cultures and new explorations, Olivia has compiled six collections, each containing unique and innovative prints in fresh interpretations for the modern home: Curious World, Tamed Spirit, Love Peculiar, Do Decadence, Pied Beauty & Calm Bazaar. 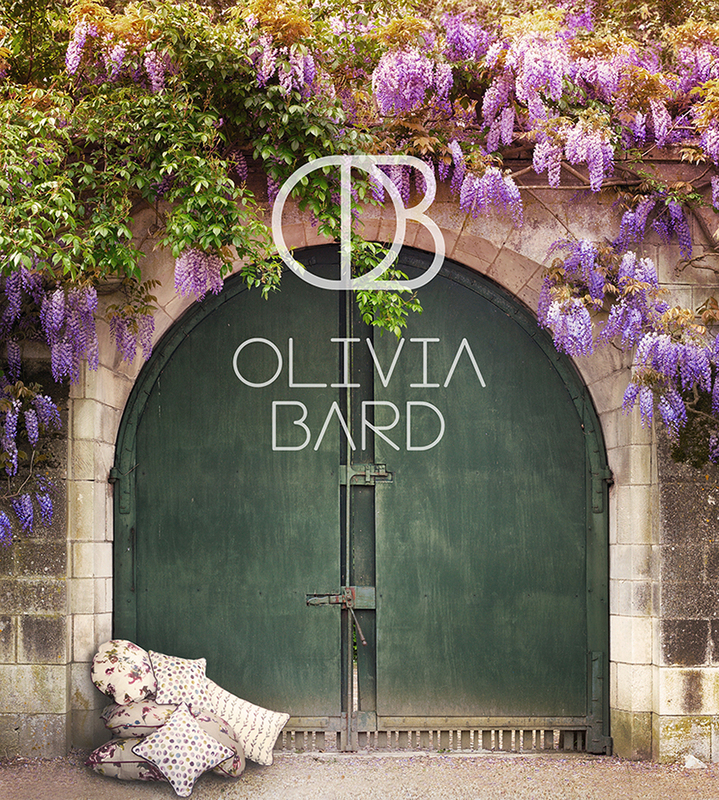 Olivia Bard is a new and exciting British textile brand offering of beautifully crafted, culturally-inspired fabrics at pleasantly affordable prices from the respected house of Haddow. 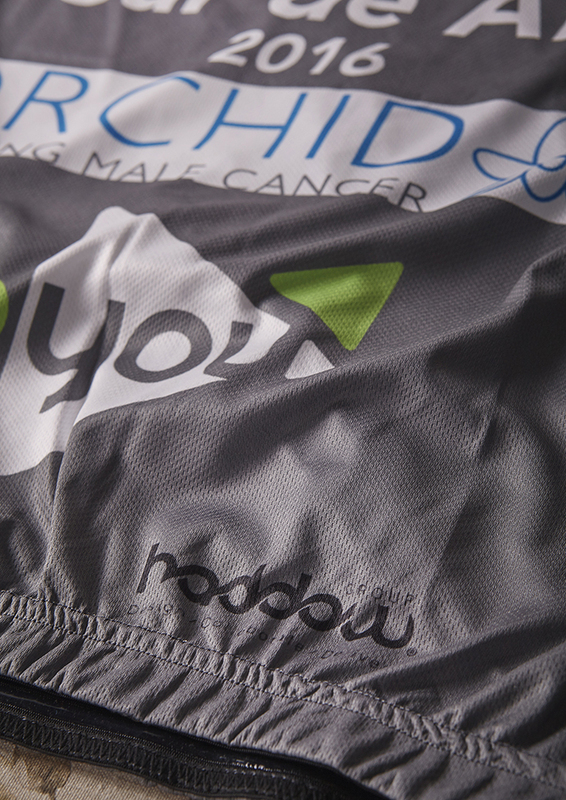 We have a fantastic range of stunning fabrics that have taken inspiration from designs all over the world. Our curtain poles add something a little bit special to every room in the house, they are specifically designed to compliment Olivia Bard fabrics but they look equally good on their own. We also have a stunning collection of curtain tiebacks that ooze sophistication elegance and luxury. 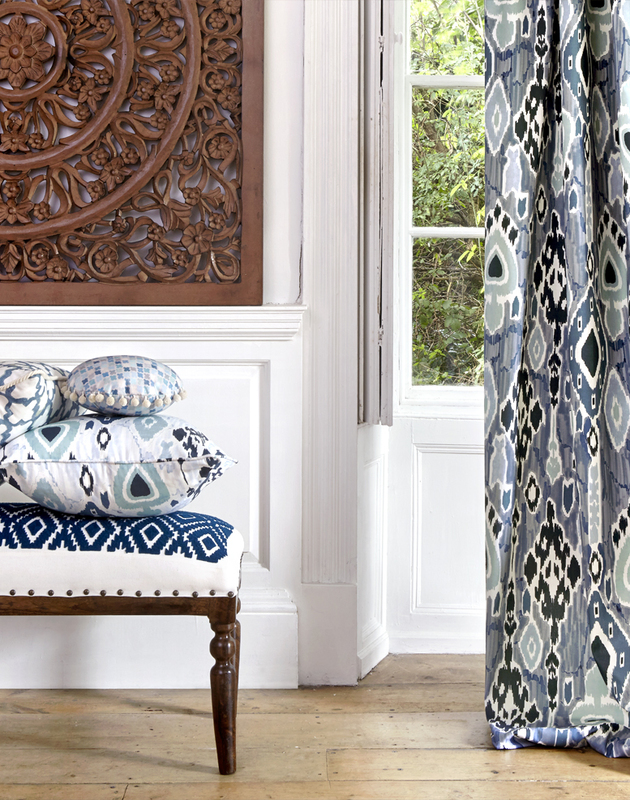 As with our curtain poles they are designed to compliment the Olivia Bard fabric range but are so special they will finish any curtain off beautifully. 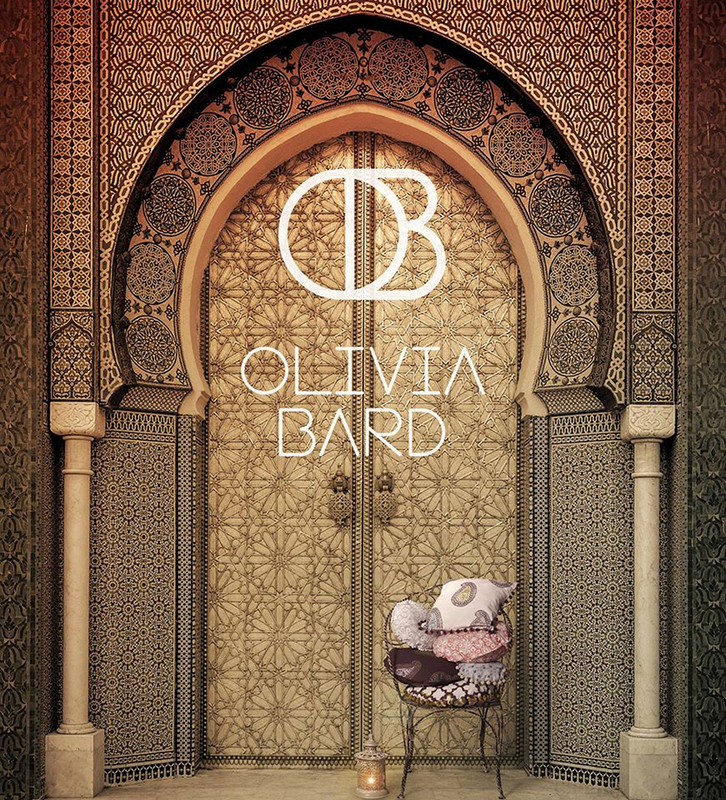 With inspiration drawn from a love of travel, different world cultures and new explorations and a commitment to crafting designer quality fabrics, Olivia Bard are proud to impart their creative experiences and passion for cultural textile craft into each and every design. 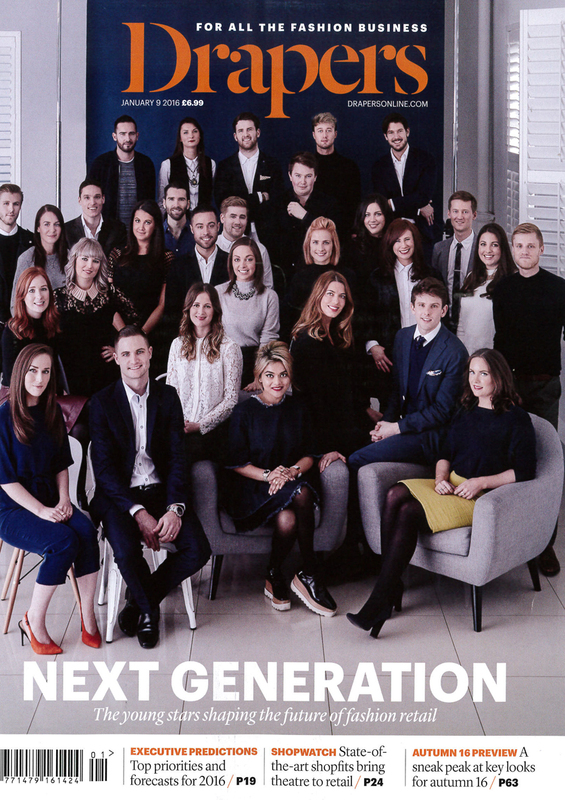 With four collections already launched and two further due imminently, Olivia Bard are set to be the new ‘go-to’ brand for on-trend interior and upholstery fabrics.